On Monday, July 13, History Project Director Charles Denson answered readers questions about the preservation of Coney Island in the New York Times CityRoom feature "Taking Questions"
Mr. Denson is the author of "Coney Island: Lost and Found," named 2002 New York Book of the Year by the New York Society Library. A writer, photographer and art director, he began his career in 1971 as a photographer for New York magazine and has since worked as art director for numerous publications. In 1999 he was awarded a Chronicle journalism fellowship at the Graduate School of Journalism at the University of California, Berkeley. Mr. Denson has lectured on the subject at the New-York Historical Society, the Brooklyn Historical Society, the Municipal Art Society, the American Folk Art Museum, Brooklyn College, the New York Aquarium, Brooklyn Borough Hall and the Brooklyn Public Library as part of the library's Brooklyn Author series. 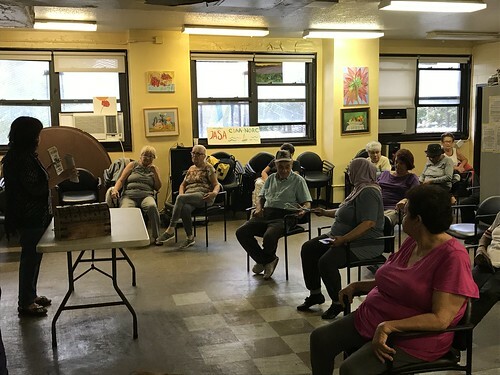 Mr. Denson's photographs have been exhibited at many galleries and institutions, including Brooklyn College, the Main Brooklyn Public Library at Grand Army Plaza, and the Puffin Room gallery in SoHo. 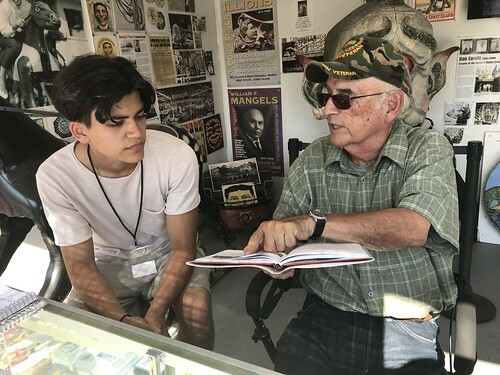 Mr. Denson is executive director of the nonprofit Coney Island History Project, which is creating an oral history archive and sponsors educational exhibits, school programs and performances. The History Project operates an exhibit center below the Cyclone roller coaster, where Mr. Denson has curated exhibits including "Woody Guthrie: The Coney Island Years," "Land Grab: A History of Coney Island Development, 1823-2007," and "Icons: The Landmarks of Coney Island," as well as the Coney Island Hall of Fame, honoring local pioneers, leaders and visionaries. On Saturday, CIHP Executive Director Charles Denson will give a slide talk about "Coney Island's Uncertain Future" at the New-York Historical Society. 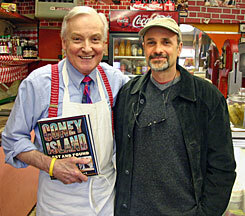 The talk will follow a screening of the Ric Burns documentary about Coney Island. 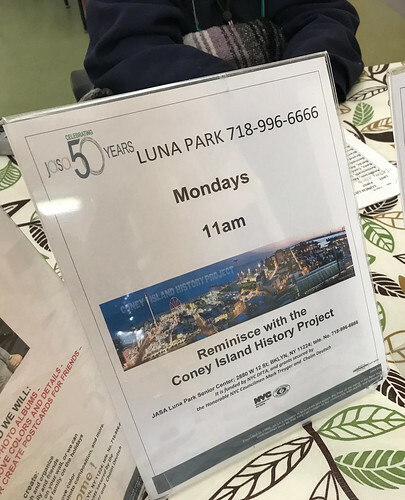 You'll hear stories of Coney Island past and present and see some of the amazing images that are part of the History Project's collection. Coney Island History Project's Exhibition Center Opens May 23rd! Ever wondered what it was like to ride the Parachute Jump, or how the Wonder Wheel turns, or what drives the Cyclone's lift chain? This exhibit explains it all! 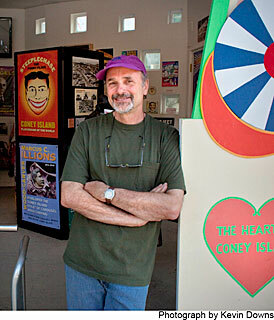 The Coney Island History Project's exhibition center opens for the 2009 season on May 23 with the new exhibition "Coney Island Icons: The Story Behind the Landmarks of the World's Playground." Archival and contemporary photos, documents, anecdotes, interview, souvenirs and artifacts are used to tell the story of Coney Island's four city landmarks -- The Cyclone Roller Coaster, Wonder Wheel, Parachute Jump and Childs Building. The exhibition is curated by Charles Denson, CIHP Executive Director, noted historian and the author of the award-winning book Coney Island: Lost and Found. Visit the Coney Island History Project's Public exhibition center under the Cyclone Roller Coaster at 824 Surf Avenue just east of W 10th Street. FREE ADMISSION for One and ALL! Open weekends from Memorial Day Weekend through Labor Day. Hours are 1 to 6 p.m., Saturdays and Sundays. Also open on Memorial Day and Labor Day, 1-6 p.m.
Easter Sunday is historically one of Coney Island's biggest days of the season. By popular request, the History Project's public exhibition center under the Cyclone will be open on Sunday, April 12, from 12-5 pm for the season's first History Day Event. During our History Day event, the first of which was held in 2005, the public is invited to record their personal memories and share their photographs and other memorabilia. Selected interviews and visual material are accessible at our online archive. 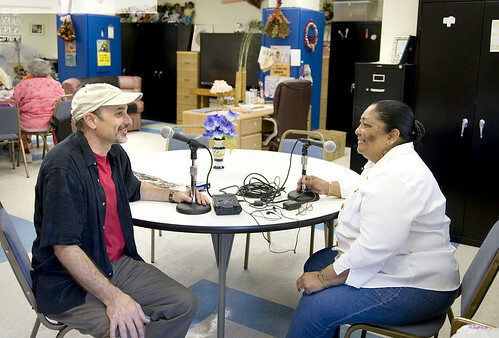 Charles Denson and Amanda Deutch will be doing interviews from 12-5pm on April 12 in our professional recording studio. Historic artifacts, photographs, maps, ephemera, films of Coney Island's colorful past and selections from the upcoming "Coney Island Icons" exhibition will also be on view. Admission is free of charge. Interviews are also conducted year round by appointment in person or by telephone. People who would like to be interviewed can sign up online.This summer we will be conducting both in-person and recorded interviews, using our Video Interview Booth, in our exhibition center under the Cyclone roller coaster. In-person interviews are by appointment only. Recorded interviews using the Video Booth may be given any time during the exhibition center's hours of operation. The CIHP exhibition center will open for the 2009 season on Memorial Day Weekend with a new exhibition "Coney Island Icons". Located on Surf Avenue just east of West 10th Street, the center is open free of charge on weekends from Memorial Day through Labor Day. For additional info, contact the History Project at info@coneyislandhistory.org or 718-266-0012. Join us to Celebrate Coney Island's & the Cyclone's Opening Day! Palm Sunday is the traditional season opener for Coney Island's rides and attractions. The Coney Island History Project's public exhibition center under the Cyclone roller coaster will host an open house on Sunday, April 5th from 12-3 pm to celebrate Coney Island's and the Cyclone's opening day of the 2009 season. You're invited to view historic artifacts, photographs, maps, ephemera and films of Coney Island's colorful past and preview selections from our 2009 exhibition season. Admission is free of charge. Please stop by on April 5th and say hello to Charles Denson, CIHP executive director and author of Coney Island Lost and Found and Wild Ride: A Coney Island Roller Coaster Family; newly appointed "distinguished historian" Jimmy Prince of Major Market; staffers Amanda Deutch, Tricia Vita and Jeff Wilday; and special guests. Our guest of honor will be Brooklynite Howie Lipstein, who has ridden the Cyclone for 50 consecutive seasons and will be interviewed by Mr. Denson for the History Project's Oral History Archive. 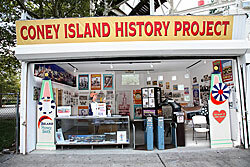 The CIHP exhibition center will open for the 2009 season on Memorial Day Weekend with a new exhibition "Coney Island Icons." Located on Surf Avenue just east of West 10th Street, the center is open free of charge on weekends from Memorial Day through Labor Day. The centerpiece is an authentic Steeplechase horse from the legendary ride that gave Steeplechase Park its name. Visitors are invited to record a video interview and take a free souvenir photo of their visit. For additional info, contact the History Project at info@coneyislandhistory.org or 718-265-0012. 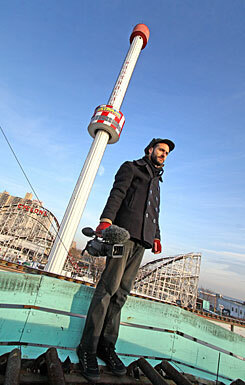 On flickr: Coney Island is Alive and Kicking & Welcomes Visitors in 2009! The History Project's flickr photostream began as a visual diary of visitors to CIHP activities at the exhibition center during the 2008 season. "It's been so successful that we recently launched two public groups on the popular photo sharing site," says CIHP administrative director and CFF (chief flickr fanatic) Tricia Vita. 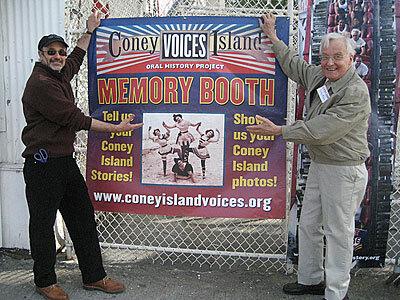 The group "Coney Island History Project Activities 2005-2009" is seeking photos of CIHP activities and exhibitions, both in our Coney Island exhibition center and off-site venues. Do you have photos of friends and family visiting our exhibition center under the Cyclone roller coaster or participating in CIHP events? We'd love to see them! The purpose of "Coney Island is Alive and Kicking and Welcomes Visitors in 2009!" is to show the world that contrary to news reports, Coney Island Is NOT closed! This CIHP flickr group showcases the best of the best images of attractions that will definitely be here to welcome visitors this season. Info about the attractions shown often appear as "comments" on each photo's page. To view as a slide show, click on icon at top right corner of group pool page on flickr. Launched on January 30, the group already has 475-plus fabulous photos and videos by more than 75 accomplished photographers. Group members have utilized Nikon, Canon, Polaroid, Diana, Holga and a zone plate camera, as well as lensbaby, HDR imaging, expired film, and cyanonegative prints to capture the essence of Coney Island. The majority of members are New Yorkers and longtime observers of the People's Playground, including Coney Island residents "lornagrl" and "Pablo57." "Whether it's on the boardwalk, the amusements or the Russians on Brighton Beach Avenue...I see photos everywhere," says Lorna Keuning (aka lornagrl). "Pablo57," who describes himself as a street photographer in the footsteps of Garry Winogrand, says "Under the Wonder Wheel is the heart of Coney. At the crossroads of the pier is the soul." "Coney Island is Alive and Kicking and Welcomes Visitors in 2009!" has also invited images from photographers who visited from across the country and around the world, including the UK, Italy, Germany and Thailand. For info on joining the group or contributing photos, please consult the group's description. Jimmy Prince is new CIHP "Distinguished Historian"
When Jimmy Prince retires at the end of February after 60 years at Mermaid Avenue's beloved Major's Market, he is moving on to two new jobs. The Coney Island History Project is pleased to announce that Mr. Prince has accepted the appointment as "distinguished historian." Chosen for his exceptional ability and knowledge of "Talking History," which is another name for "oral history," Mr. Prince will work this season at the History Project's exhibition center under the Cyclone roller coaster, sharing his Coney Island memories with visitors. Mr. Prince is also the star of a new documentary by Charles Denson, author of Coney Island Lost and Found, which will premiere this summer. Mr. Denson has been filming the documentary about Mr. Prince and his customers for the past three years. The film is based on more than 60 hours of raw footage. Jimmy Prince began working at Major's Market as a young man in 1949 and became the shop's proprietor in the 1970's. The storefront is emblazoned with signs that say "Coney Island is Coming back Folks, Let's Watch it Grow!" and "It's Major's for your Barbeque Specials." Founded in 1932, Coney Island's oldest butcher shop is a throwback to the days when the entire length of Mermaid Avenue, from Stillwell Avenue to Sea Gate, was a bustling retail strip serving a predominantly Jewish and Italian population. The shop was one of the few survivors the neighborhood's downturn in the 1960's and 70's, and, later, the incursion of supermarkets. 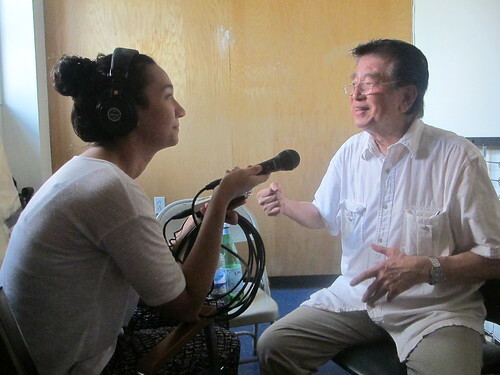 One of the audios in the History Project's online oral history archive is an interview with Jimmy. A second recording captures the sounds of a typical day at Major Markets. Do You Have Coney Island Home Movies? The CIHP is working with Brooklyn filmmaker JL Aronson who has been producing a documentary over the past two years about Astroland. The film focuses on Astroland's role in keeping Coney Island going since the mid-sixties when Steeplechase Park closed, until 2008, when the lights went out on Astroland itself, in addition to many other Coney Island businesses. Currently, Mr. Aronson is searching for archival footage of Astroland -- and Coney Island in general -- from the 1960s, '70s and '80s. On the filmmaker's behalf CIHP is sending out this plea to anyone who has home movies (especially 8mm and 16mm film) or outstanding photographs from that period. The History Project will shoulder the expenses of film transfers and return the original film along with a DVD transfer to anyone who donates their material. Donors will also receive credit in the film and two complimentary copies of the completed documentary. 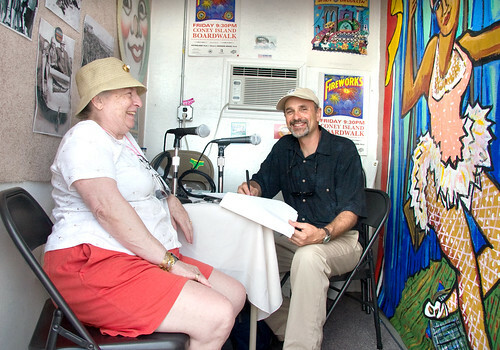 Contact the History Project at info@coneyislandhistory.org or 718-265-2100. JL Aronson is a consummate New York filmmaker, having crafted documentaries about pigeon fancying in Williamsburg and the underground karaoke scene on Manhattan's Lower East Side. He has also directed a series on the 1970s, '80s and '90s downtown New York music scene for Manhattan Neighborhood Network (in association with the New School) and created marketing videos for Central Park Summerstage, Celebrate Brooklyn, PEN World Voices Festival of International Literature, the Siren Music Festival, River to River Festival and other New York institutions. In 2006, his "documentary musical" Danielson: a Family Movie won numerous film festival awards throughout thecountry before going to theaters in December of that year and DVD in April 2007. Film clips at www.creativearson.com. On Jan. 6, the Rocket was lifted off Gregory & Paul's roof with a crane because it will be moved to a storage facility. As for the Rocket's new home, an announcement will be made when all of the pending details are finalized. The Coney Island History Project received interesting proposals from groups and individuals in NYC, NY State, neighboring states, and even an amusement park in Pakistan. But we really want to keep the Rocket in Coney Island. Let's hope and pray it happens. There are many logistical challenges when it comes to moving and finding a new home for a 71 foot long, 14,000 pound spaceship! Charles Denson, director of the Coney Island History Project says his group is currently in "serious negotiations" with a group that will move the rocket to a new Coney location. "It looks like it [might] be staying. It's a survivor, and it'll keep the Astroland name alive. It's a time capsule; everything inside is absolutely preserved." Coney Island Space Age Icon — will it be Destroyed? The famed Astroland Rocket Ship on Coney Island's Boardwalk (historical photos available on Flickr), one of the first and only surviving early amusement park "simulators," is seeking a new home. It debuted in 1962 at Astroland Park as one of the first of the "imaginary" space voyage simulators constructed during the Space Race. The Rocket showed simulator films of "rocket rides" while the chassis "rocked" its viewers to outer space. The Ride, which has 26 seats, lasted about three minutes, the length of the film. Originally built as the "Star Flyer," the Astroland Rocket, which is in excellent condition, currently sits atop the boardwalk hamburger/hotdog stand, Gregory and Paul's and is one of the first early victims of Coney Island's redevelopment. While the City and Thor Equities continue to negotiate over ownership of Coney Island, Astroland Park must move off the property and either sell or take everything with it. Owners Carol and Jerry Albert have offered to donate the rocket and help with the costs of moving it, "but," said owner Carol Albert, "we can't find a way to store it, inside or outside, and there seems to be no place in Coney Island where it can find a home." Astroland must vacate the property by January 31st. 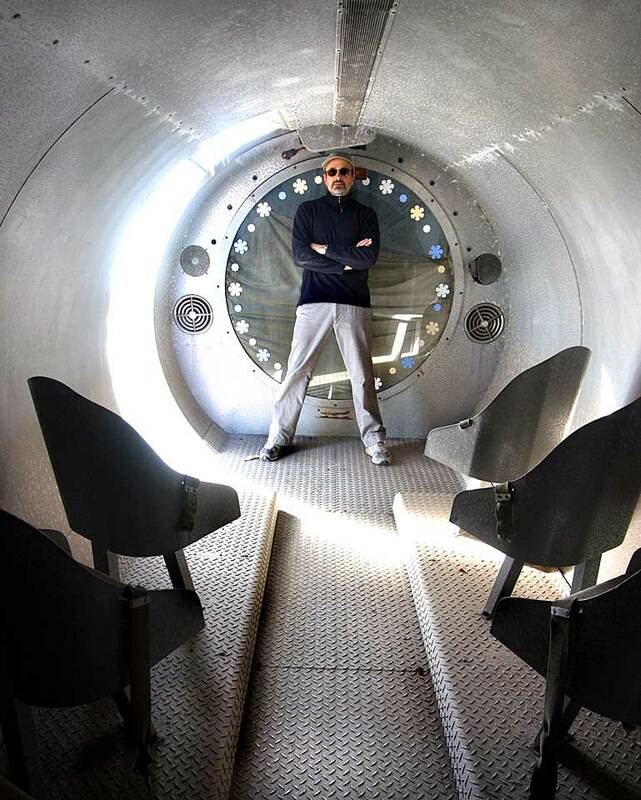 The Alberts had long planned to preserve the park's fabulous space ship by donating it to the Coney Island History Project, the not-for-profit organization they founded in 2004. Charles Denson, executive director of the Coney Island History Project and custodian of the Astroland rocket, would like to keep it, but the History Project's exhibition center under the Cyclone roller coaster does not have parking space for a rocket! 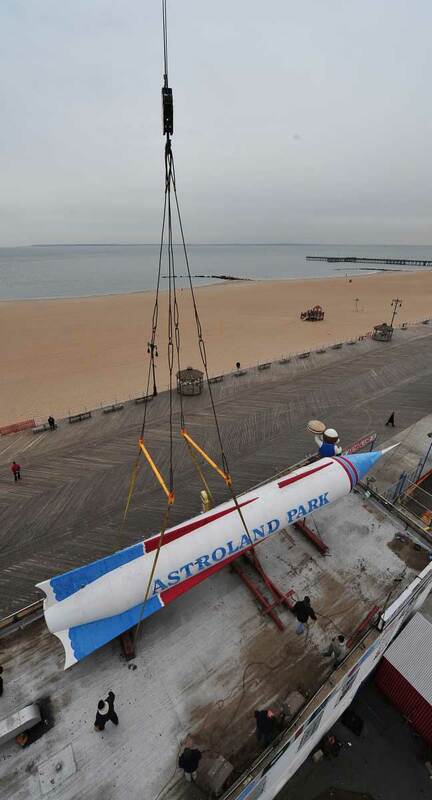 "The Astroland Rocket is an iconic piece of Coney Island's history that must be preserved, preferably at a site in Coney Island," says Denson, a Coney Island native and author of Coney Island Lost and Found. 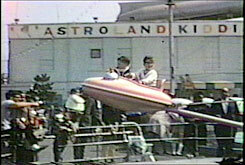 "The rocket was the first ride at Astroland and it defined the park's space age theme when it opened in 1962. It should remain a part of Coney's landmarked architectural heritage like the Parachute Jump, Wonder Wheel, and Cyclone roller coaster. Every effort is being made to find it a safe new home in Coney Island." 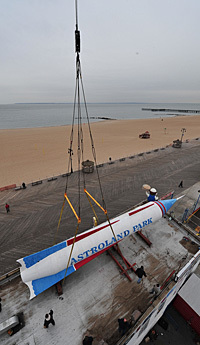 Coney Island History Project and Astroland staffers have been contacting museums and other venues offering to donate the rocket. A few museums have declined due to lack of space or logistics while others are considering the offer. "Astroland's Rocket incorporates fun, science and a piece of Coney Island history which both youngsters and adults would find unique and intriguing. In addition, the Rocket would enable a museum's educational staff to create new and exciting programming for visitors" says Astroland's Lois Colin, who has contacted children's museums, science centers, aviation museums and other venues. The Astroland Rocket was also known as the "Star Flyer" (as it was called by its inventors), the "Cape Canaveral Satellite Jet" (Time Magazine), "The Spaceship Auditorium" (Billboard) and the "Cannonball Adderly Rocket" in anticipation of Adderly dedicating the rocket for the park's official opening on July 1, 1962. The rocket was rechristened the "Astroland Moon Rocket" in 1963. A Time Magazine article from July 1963 describes Coney Island's new park as "a $3,000,000 fun-and-games nexus devoted to space exploration. It has the Cape Canaveral Satellite Jet - passengers enter the rocket, fasten seat belts, then blast off with engines roaring as filmed special-effects from actual space shots conjure up a journey to the moon. The Colonel Glenn Sky Ride has 16 plastic bubbles orbiting 80 feet above the boardwalk. For downward exploration the Neptune Diving Bell encloses 30 people, drops them 35 feet down to an 'ocean floor' where live porpoises play." The rocket continued to operate as a ride through the 1970s. According to the text of the History Project's Astroland exhibit curated by historian Charles Denson: "In late 1961 Dewey Albert and his son Jerry Albert began transforming the Feltmans property into a space age theme park they called Feltmans Astro Park. By the time it opened to the public in the summer of 1962 it had become 'Astroland Park.' After the closure of Steeplechase Park in 1964, the Albert family's Astroland provided the anchor that held Coney Island together during the next four turbulent decades." According to "Space Age Lure," an article in Billboard's 1960 Cavalcade of Fairs, the Star Flyer rocket ride was invented by John Taggart and Sam Daugherty, former police officers turned space age amusement entrepreneurs. In 1958, the year Explorer 1, the first U.S. satellite, lifted off at Cape Canaveral and N.A.S.A. was founded, Taggart and Daugherty formed the U.S. Amusement Corporation. The rockets were built at Todd Shipyards in California. The prototype was installed at Peralta Park in Oakland in June 1958. Star Flyer II was a sensation at the 1959 State Fair of Texas in Dallas, riding approx 40,000 children and adults during the 17 day fair. By 1960 three rockets had been built: one was traveling with Royal American Shows, the largest carnival of its day, and the other two were in Palisades Park and Riverside Park. Dewey and Jerry Albert, who had rides at Palisades Park, first saw the rocket there and were inspired to buy one for their new space-age theme park.